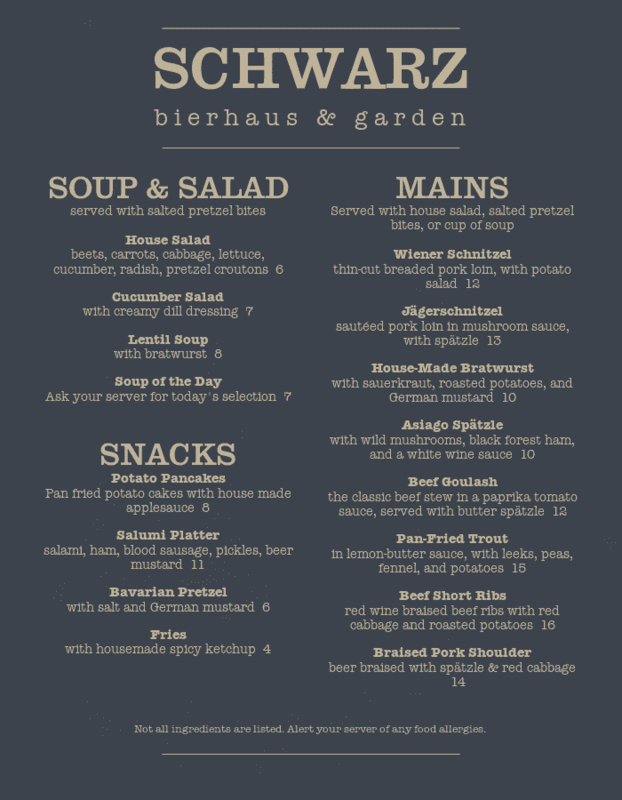 Looking for a gorgeous new German menu? Check out our huge collection of unique templates. Choose one that fits your restaurant, order prints and transport your customers to Berlin or Munich with a new menu. No design skills required to create beautiful German menus. 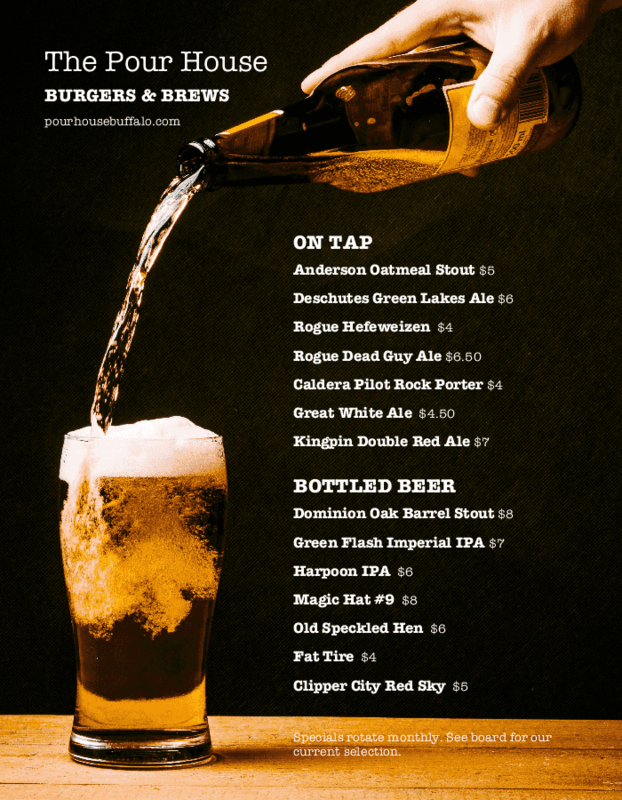 Pick a template that works for your restaurant, customize it with our drag-and-drop Menu Creator, then download your PDF or order your prints. Refresh your presentation in a few easy steps. 1. Choose a template. Choose a template that fits your restaurant. 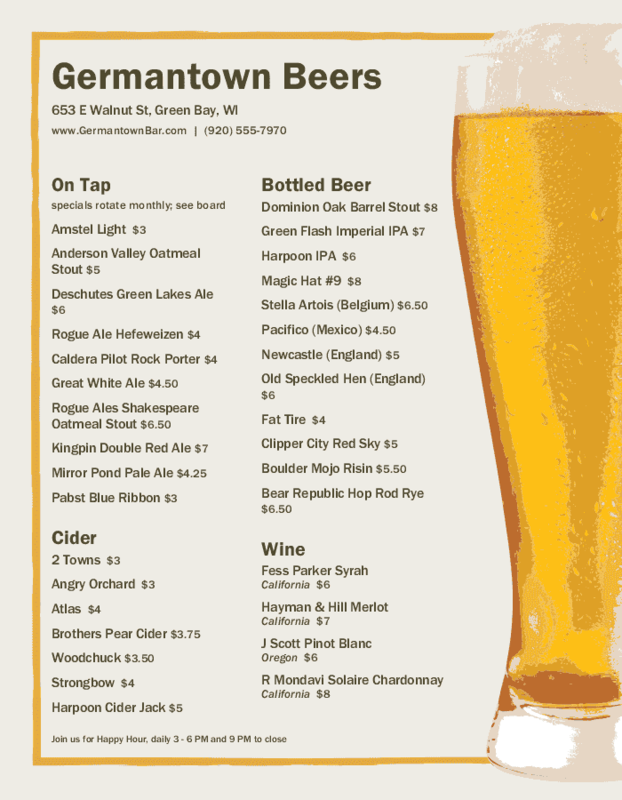 We have menu designs for German cafes, pubs, Oktoberfest celebrations, and more. 2. Add images. 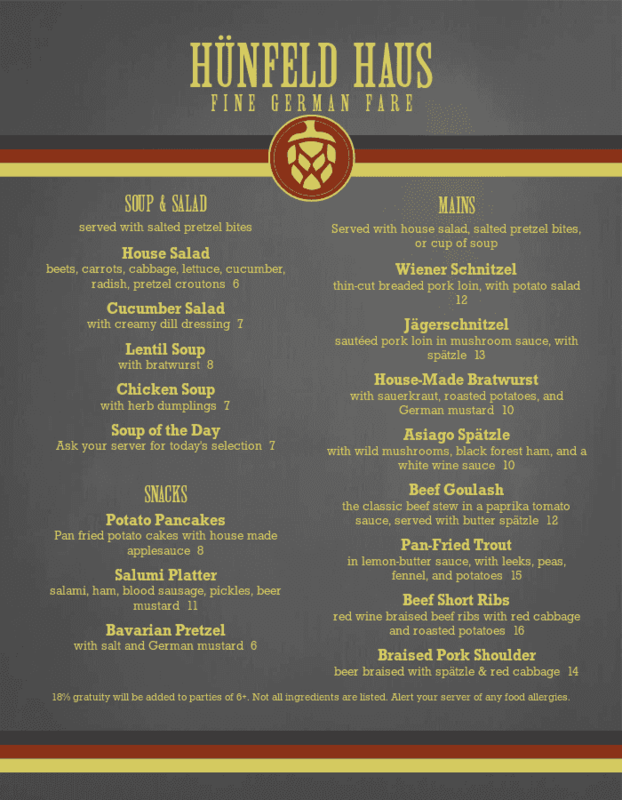 With our Menu Maker, it's easy to add and swap photos of your best German cuisine. Show off your bratwursts, schnitzels, and ales. 3. Insert your logo. Drag and drop your logo into the design. 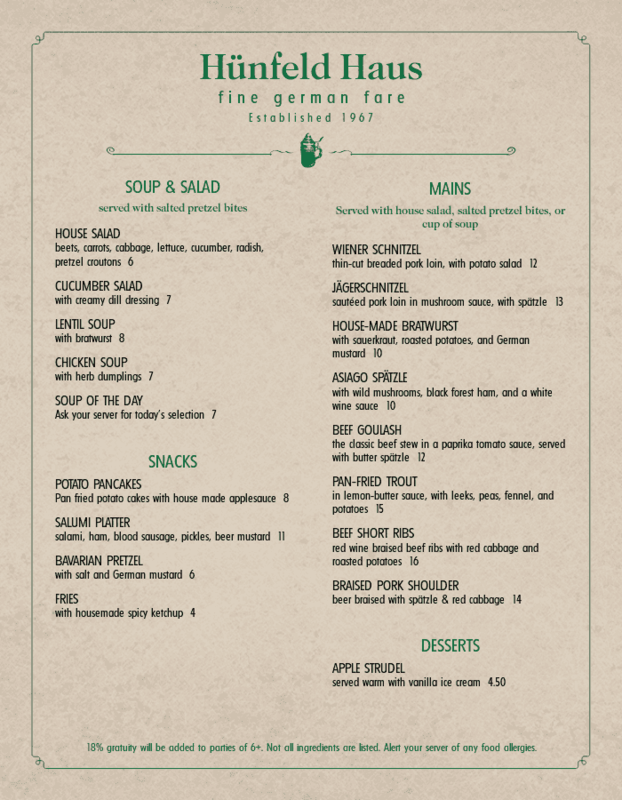 Add graphics, German flags and more to give your menu an authentic German feel. 4. Switch colors. Change the menu colors to match your restaurant with just a few clicks. Every part of the menu can be selected to swap colors. 5. Order prints. 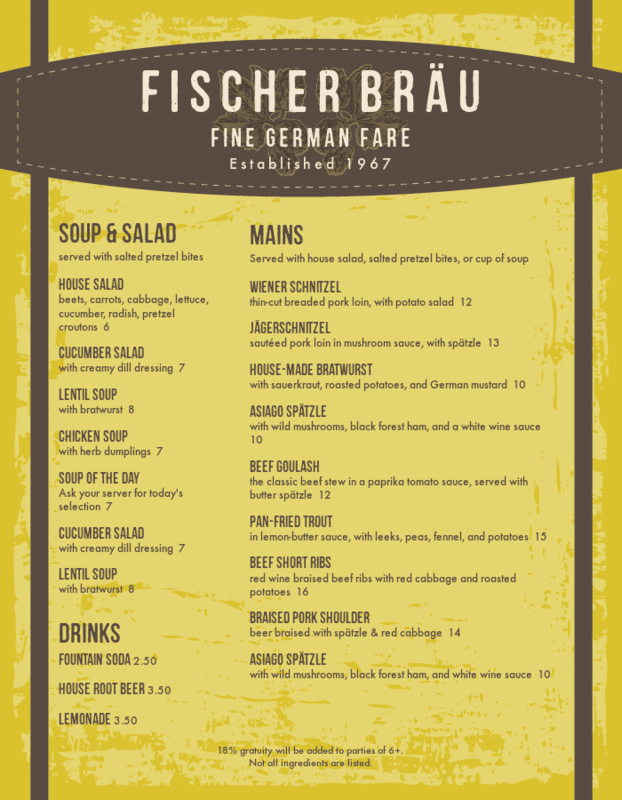 Once you've created your ideal German menu, choose a high-quality paper, and order your prints. We ship next day! 6. Update whenever. Your design saves to your account, so you can update your German menu design whenever! Update your logo, add additional food and drink options, and much more. At MustHaveMenus, we have over a decade of experience with restaurants. 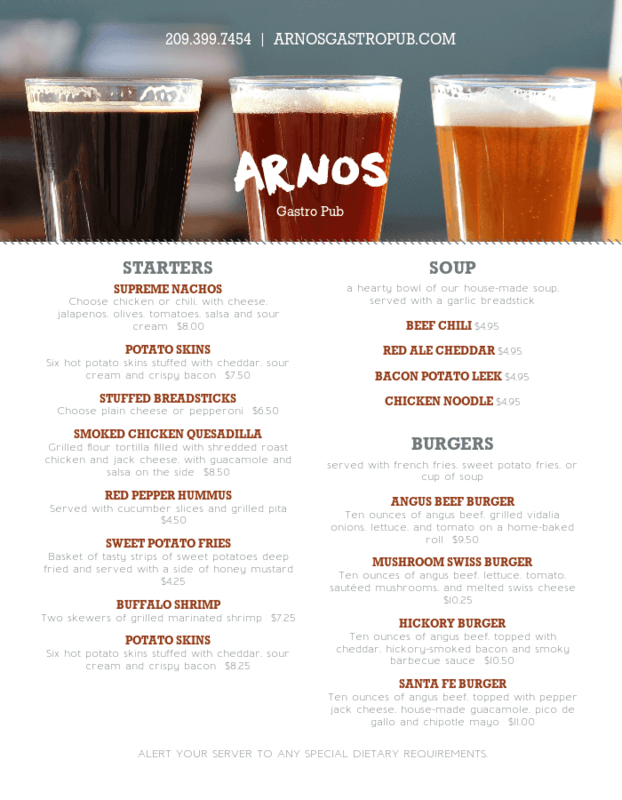 We've been partnered with restaurants - German or otherwise - so we understand their unique marketing and presentation needs, from menus to the rest of your marketing like business cards, flyers, and check inserts. With our simple-design Menu Creator, designing a new German menu takes a few easy steps. We have a wide range of templates for all manner of German restaurants, from cafes to pubs, fine dining and more. Pick a menu template that works for you, tweak and edit until it's perfect, and then place your order with just a few clicks. If you run into any issues, our professional Customer Service reps are always happy to help you create your next menu. 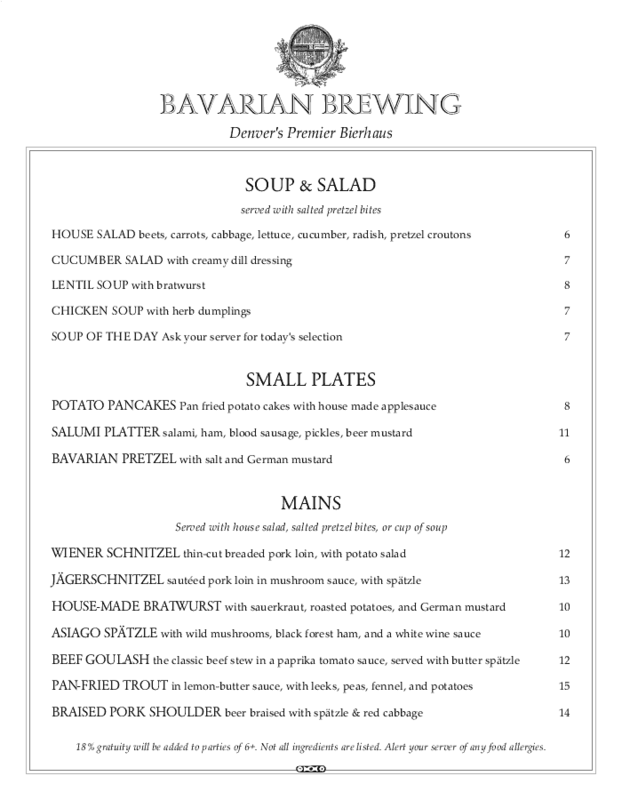 Once you're happy with your German menu design, just place your order and we'll ship the menus next business day. You can also post your new menu online to enhance your restaurant's internet presence. 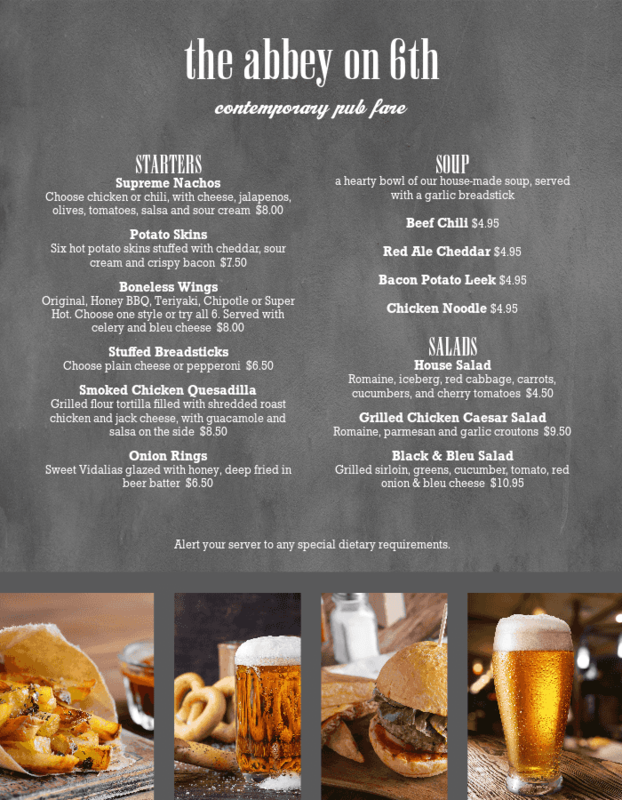 Hire our designers to create a new menu for your German restaurant. Start creating your new German menu with any of these templates below.